Yet another game coming later to Sony's console. One constant bother if you're a PlayStation 3 owner is that more and more games are arriving later than on other consoles. It happened with The Darkness, it happened with Ghost Recon Advanced Warfighter 2, and now it's happening with Half-Life 2. 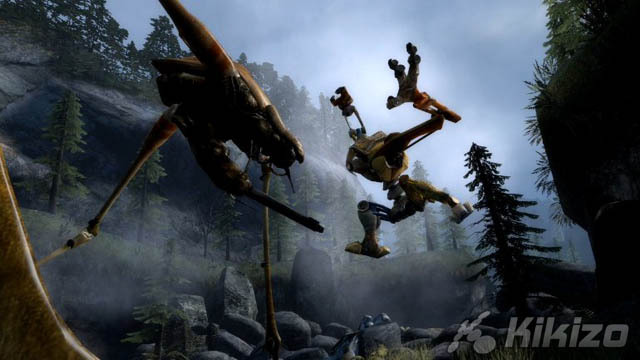 Speaking to GameSpot this week, Valve's Doug Lombardi said that the console version of Half-Life 2, which arrives as part of the Orange Box, will arrive a "few weeks" after the Xbox 360 version. The Orange Box is a collection of games that includes Half-Life 2, Half-Life 2: Episode One, Half-Life 2: Episode Two, the team-based online shooter Team Fortress 2, and new shooter-slash-puzzle game Portal. According to the report, Lombardi was reluctant to finger any particular culprit for the delay, the latest in a string of push-backs for the game.